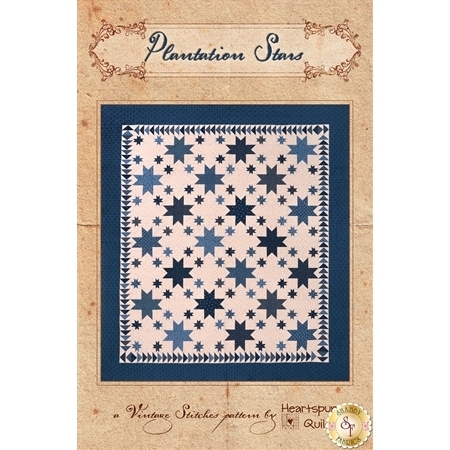 Create a beautiful pieced quilt using any combination of your favorite two colors. 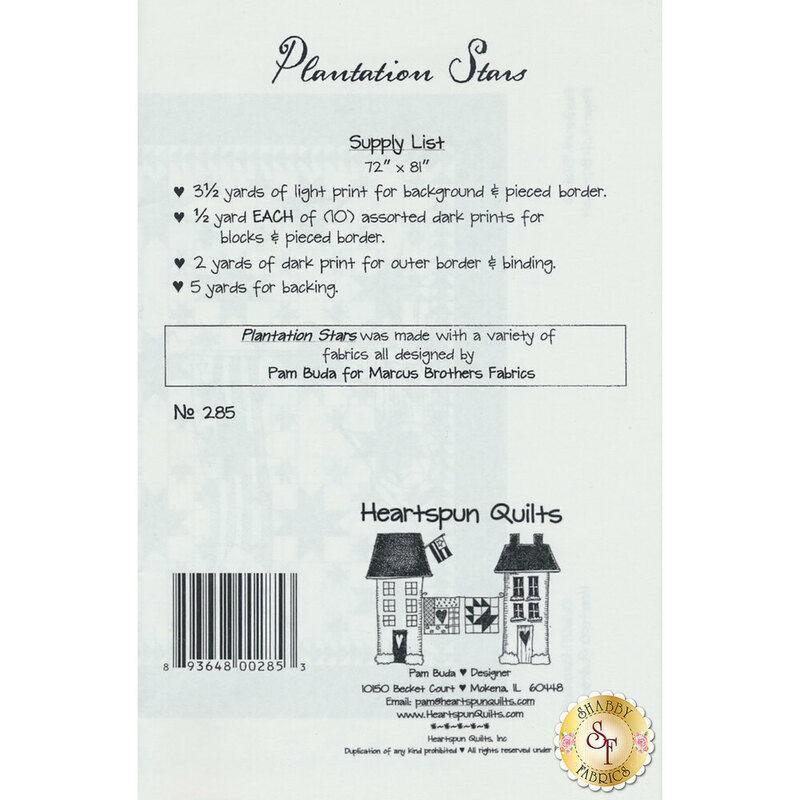 Plantation Stars by Pam Buda of Heartspun Quilts features a secondary circular pattern around each star that makes a lovely quilt! The finished quilt is 72" x 81".